Corey Kendrick (pno); Joe Vasquez (bs); Nick Bracewell (dms). The CDs continue to pour through the mailbox - I know I could opt for downloads but downloads get overlooked and forgotten, unlike a CD where, as in this case, you have the artist staring at you from the artwork, daring you to comment. "Give it less than 5 stars, Bud, and you are 6 foot under!" No such tactics needed with this one. A piano trio playing originals interspersed with a couple of standards does it for me. 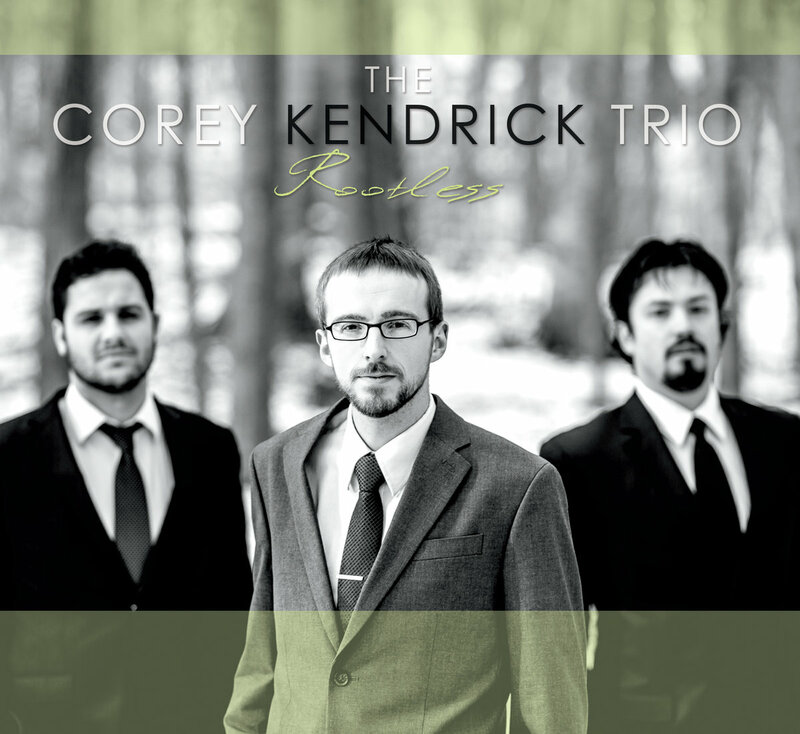 Kendrick, an Iowa native now living in Detroit, has the jazz touch common to all of the great jazz pianists. The ability to take a tune on a trip to Mars whilst holding the attention of those still Earthbound. 5 stars? of course. It's sublime, a disc I'll never tire of listening to until... ...here's the rub. There are so many trios that are also doing this equally well - not better, not worse, but at the same level. I can think of a few trios in Newcastle, in London, in probably every major city in the jazz world who can compete at this level which raises the question, "Which one do I put my dosh on?" However, if you can only splash the cash out for one, listen to Alone in Michigan* - it may just sway you. it did me! * Currently blocked on YouTibe.